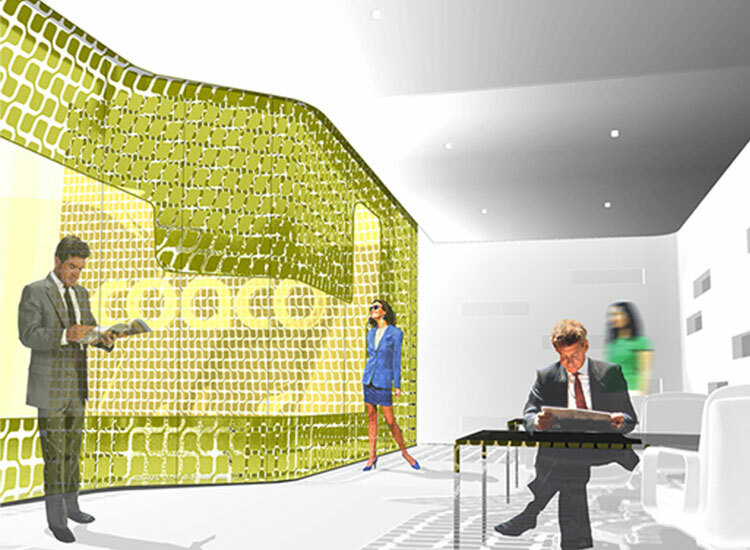 The new offices seek a respectuous dialogue with an existing building. 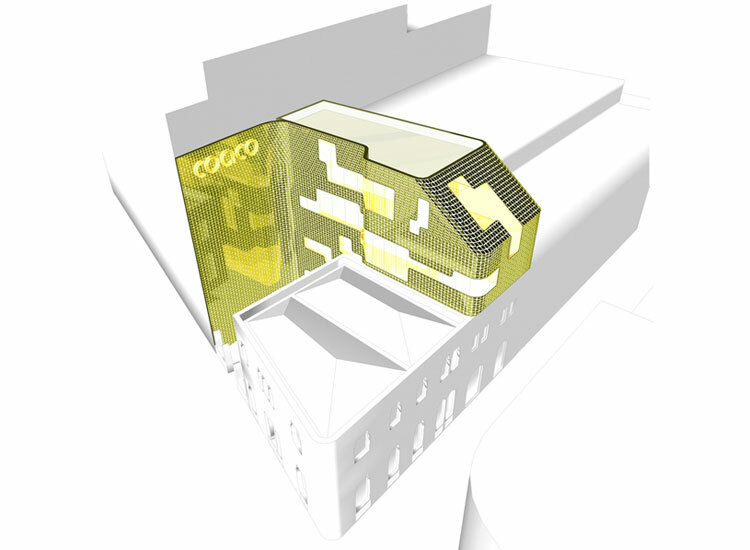 Golden mirror of an Art-Nouveau architecture, the project is paying tribute to its neighbours through a useful envelope. 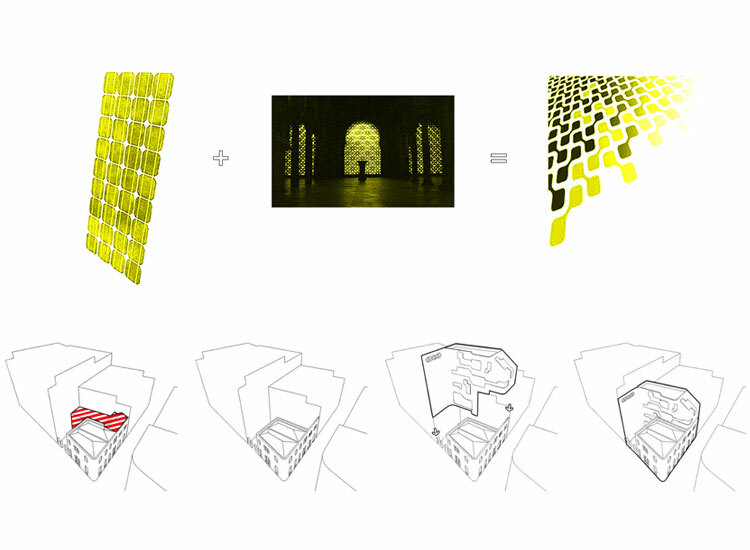 Inspired by the moucharabiehs of the Big Mosk of Cordoba, the new skin filters the rays of the sun as well as it captures the energy that will feed the building. This project in Cordoba evokes the rich history of a city that saw the coexistence of the three big monotheist religions on its ground. These religions have widely contributed to the heritage of Andalucia. More than a simple extension on the back of a parcel, the proposal seeks for a total parcel treatment,. This is why the big party-walls are taken into account. It interrogates the function of a board of architects, usually working on what emerges out of the ground or what sits on the ground: the project seems here to grow from the walls as a mural excrescence. 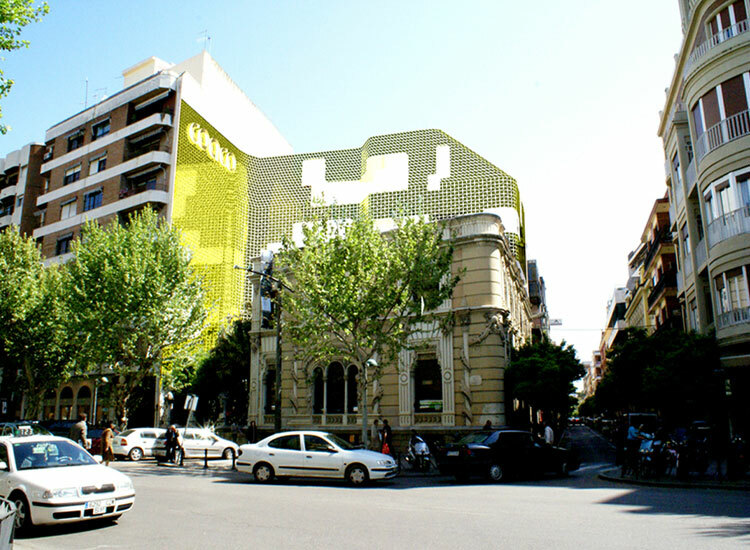 Catching the solar energy during the day, the envelope gives the project a citizen side during the night: moving messages evolve on the golden skin and other animated informations may be displayed, giving the building a better way to communicate with every people passing by.